A new app lets users take 3D, 360 degrees images from their iPhone 6. The 3DAround app lets iPhone 6 users take 360 degree pictures of objects and then show them as 3D photographs. The app works only with iPhone 6 ruining iOS 8 and users can download it for free. 3DAround app has been developed by Swiss software company Dacuda and takes images that are not just 3-dimensional, but interactive as well. 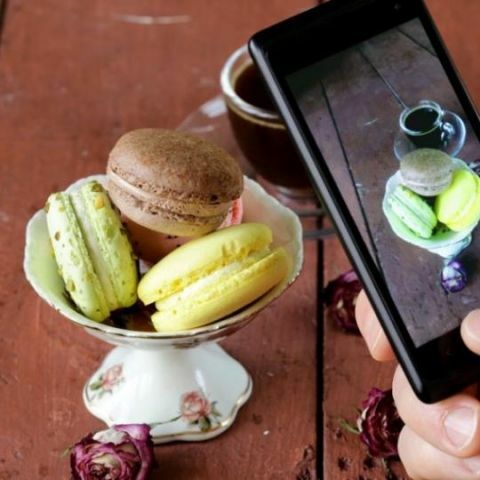 The app was designed to cash in on the popularity of food photography and capture 3D images of food but works just as well with other objects. DAround uses Dacuda’s omni-directional SLAM Scan 3D technology (Simultaneous Localization and Mapping) engine long with software and algorithms for 3D scanning with the iPhone 6’s camera. It extracts a full 3D model of an image from different angles. and then combines the multiple images into a single virtual 3D image. DAround uses the iPhone's accelerometer so that by tilting, the image shifts and show a view of the object along with its surroundings similar to what the HTC One M8 is capable of thanks to its dual cameras. "The app allows users to share full dining experiences via 3D images so lifelike, viewers can almost taste the food," Alexander Ilic from Dacuda stated. "3DAround extracts a full 3D model of an image, capturing object depth and structure as users move around to take food photos from various angles. It combines these multiple images into a single, virtual 3D photo," he added.